We strive to integrate ourselves with our community. Amongst other initiatives, we reach out to local businesses, participate in the annual West Vancouver Community Day parade, provide floor hockey programming at local elementary schools, host open houses featuring free public skating, ball hockey and other activities, and provide a generous scholarship program for graduating hockey players. WVMHA was born as a community based hockey program in 1967 as a direct result of a centennial project in celebration of Canada’s 100th birthday which saw the construction of West Van’s community ice arena. We seek to continue the community-based legacy and to better integrate ourselves into the surrounding community than our competitors. 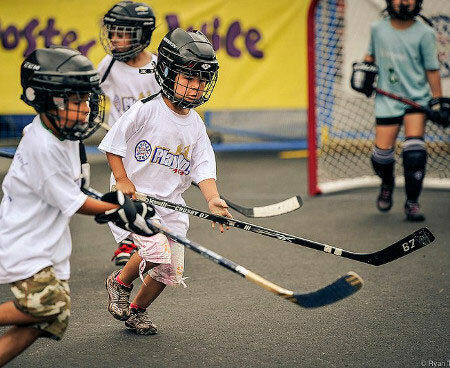 We offer children the opportunity to play and excel at the game of hockey along with school and neighbourhood friends while being a part of the greater community – which is ultimately the “team” to which we all belong.